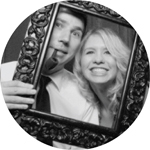 So here it is… the first ever post on Grab Your Spork. It was a tough decision what our first recipe should be, but we decided that it might be best to start with something easy. 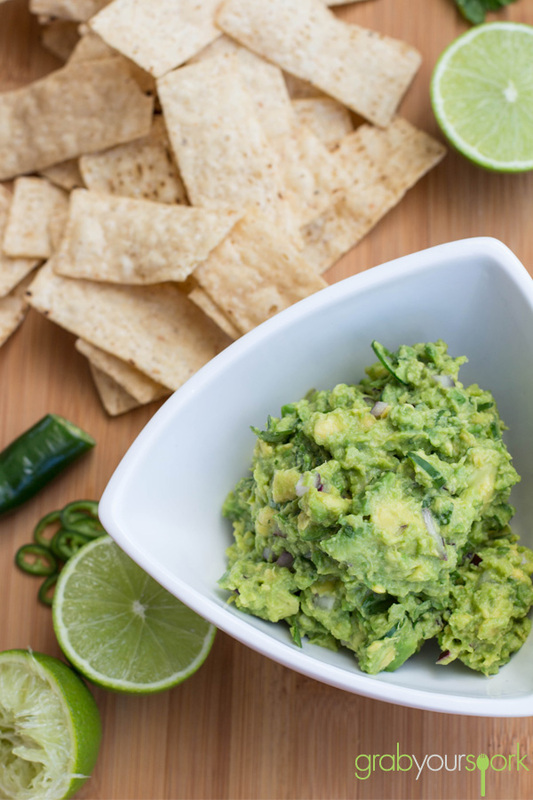 Brooke and I like many variations of guacamole, but this simple guacamole recipe is one of our favourites. Avocados are grown in the South-West part of Western Australia where we live . It’s great when they are in season as we can get some awesome quality avocados at our local farmers markets here in Perth. 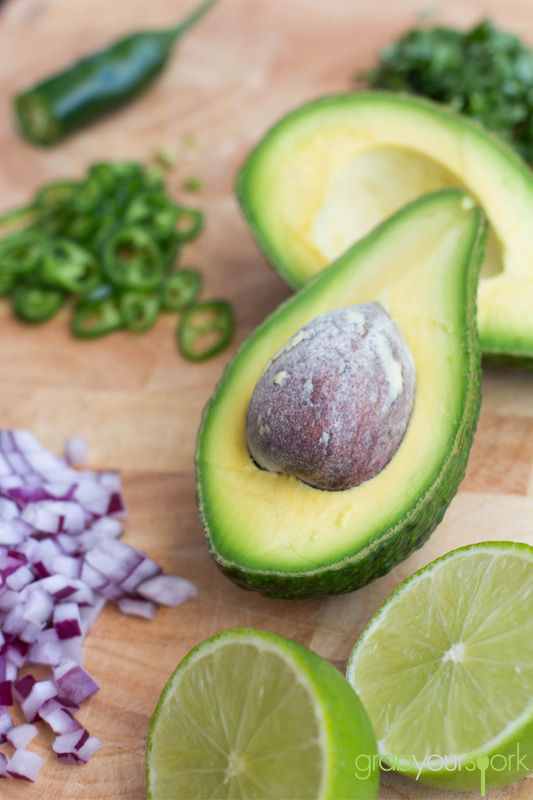 This simple guacamole recipe was made with perfectly ripe avocados mixed with fresh chilli, coriander, onion and lime. Guacamole should be made just before serving (where possible) to maintain it’s vibrant colour. 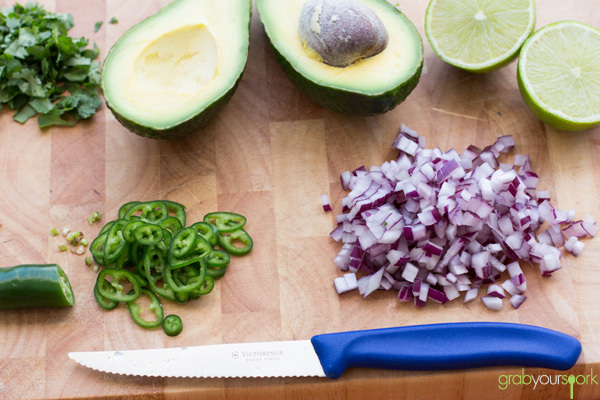 The key to the perfect guacamole recipe is ripe avocados. Check for ripeness by gently pressing the outside of the avocado. If there is no give, the avocado is not ripe yet and will not taste good. If there is a little give, the avocado is ripe. If there is a lot of give, the avocado may be overripe and not good. In this case, taste test first before using. If your looking for something to pair with this simple guacamole recipe, then try our tomato salsa recipe. This simple guacamole was made with perfectly ripe avocados mixed with fresh chilli, coriander, onion, tomato and lime. Guacamole should be made just before serving where possible so as maintain it's vibrance. Mash with a fork until you have a smooth, chunky texture. Add lime juice, jalapeño, onion, garlic, coriander (cilantro) leaves, salt and mix gently. Eat until your heart is content. Great shots and a solid recipe! I wonder how much avocados cost where you are, being locally grown. Here in the U.S. northeast, they can be $2.50 each if you’re buying organic. Pretty pricey! Thanks Megan, They are a similar price here in Perth in the supermarkets or when they are out of season. When in season we often get 3 for $5 at the markets. Wow this looks yum! I will be sure to try this guacamole recipe! 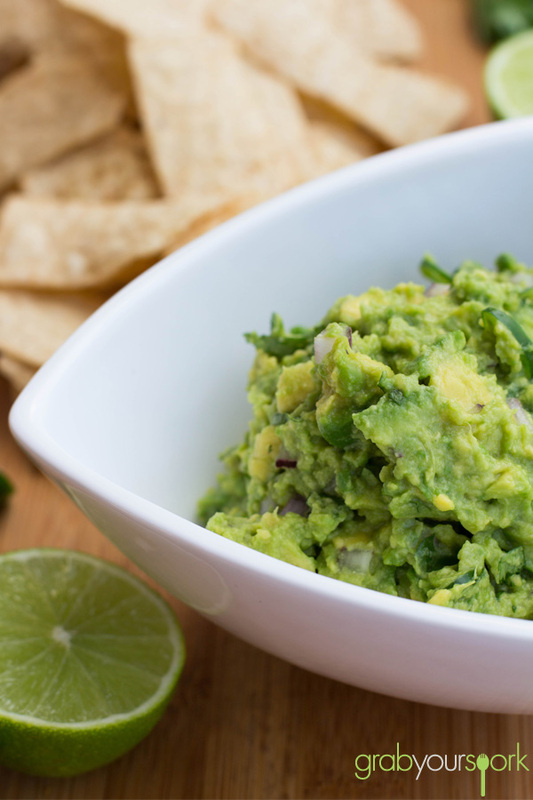 I love this Simple Guacamole Recipe… Yumbo!